Publisher: Arthur A. Levine Books/Scholastic Inc. Since his sister has died, the life of Pancho has narrowed to one point only. He wants nothing but to avenge her. Nevertheless, his plans are changed when he meets D.Q. A boy so different from anyone Pancho has ever encountered with. D.Q. became a Death Warrior when he has gotten ill with cancer. And he wants Pancho to be a Death Warrior as well. Their remarkable friendship will change both of them but what happen when they fall in love with the same girl...? "We're two strands of the same rope. Only the rope has three strands... It's all right for both of us to love her." 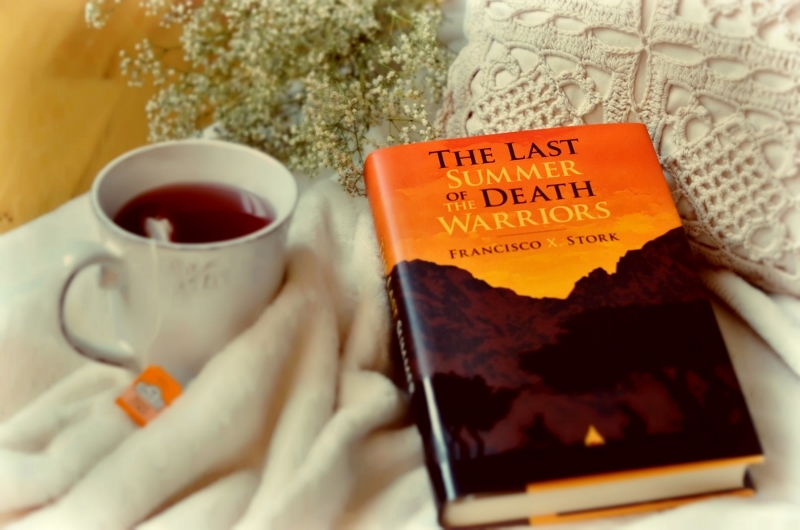 Francisco X. Stork is perfectly unique thereby he is a writer whose books always appeal to me even though they deal with those things I've never experienced by myself. I have nobody who would be suffering from cancer, who would lost his parents or siblings, neither I have someone who would be showing some signs of autism around me. But still those stories by Francisco X. Stork profoundly affect me. There is no doubt that he is a great author. His writing style is brilliant yet easy to read. What is the most amazing about his books are the characters, though. They are truly exceptional. Their stories always teach me something important about life and love. There is something magical about that his books come to me in the time I need a new point of view the most. 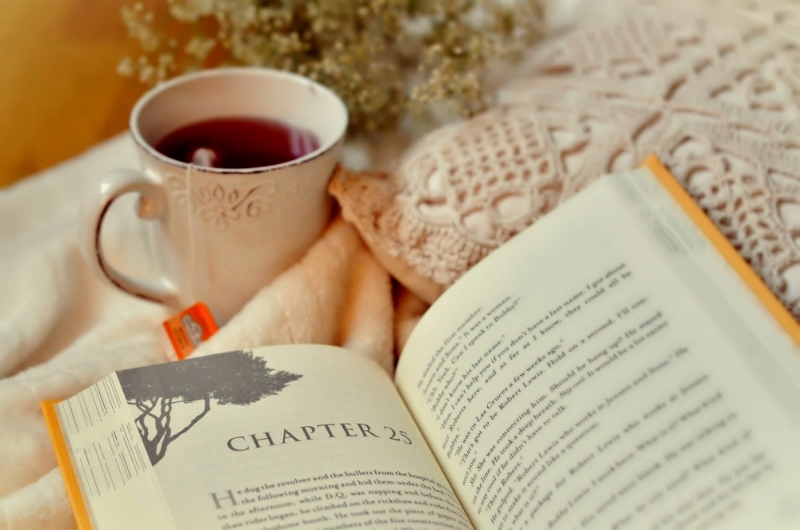 I've found myself perfectly composed and full of serenity when I read his books. I've learnt not to whine like D.Q. would said. 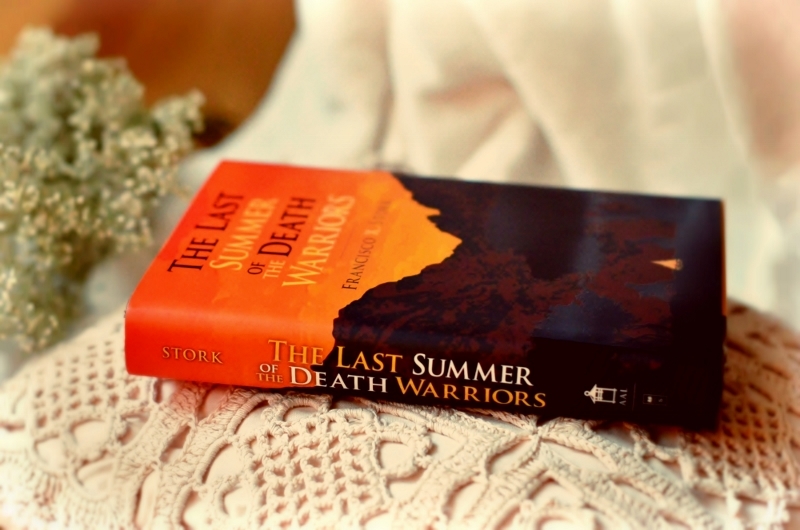 The Last Summer of the Death Warriors is a book that warms me to the marrow of the bones. It is really powerful and very inspirational read. It discusses some of the heavy themes but still it is fast pace and thrilling read you could not put it down. Francisco X. Stork understands to souls of young people. He is a great observer and he can express his thoughts perfectly. And that is what makes him such an excellent author. The photos you take are s gorgeous! !